Newsdesk.org’s award-winning, crowd-funded “Toxic Tour” is expanding to Los Angeles, Oakland and San Francisco, where we’ll put the neglected environmental-health issues of marginalized neighborhoods “on the map” — and create a model for independent journalism that can be replicated everywhere. Here’s a Google map of where the Toxic Tour is taking root! 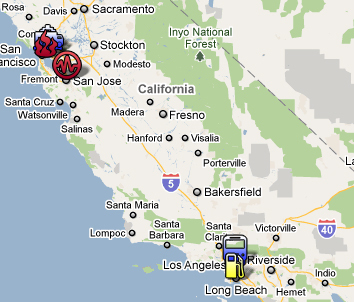 By clicking on each icon on the map, you’ll get a pop-up window with more details about each Toxic Tour reporting project. Check back regularly for updates.